VICTORIA, B.C. 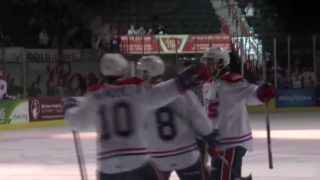 – Matthew Phillips’ goal with just over six minutes left in the third period lifted the Victoria Royals to a come-from-behind 4-3 win over the Spokane Chiefs Friday night in Victoria, B.C. The loss, combined with Portland’s win over Vancouver, leaves the Chiefs 11 points behind Portland for the final playoff spot in the Western Conference playoff race with just nine games remaining in the season. 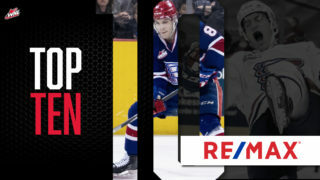 Spokane would jump out to a 1-0 lead 4:54 into the game on Jaret Anderson-Dolan’s 35th goal of the season. Anderson-Dolan has now scored a point in eight straight games. Victoria would counter with a power play goal from Jack Walker at 18:27 to even the game at one after the first. Spokane would re-take the lead on Ondrej Najman’s fifth goal of the year at 1:51 of the second. Ethan McIndoe would extend the lead to 3-1 with his 17th of the season at 14:46 off a rebound net front. Victoria would cut the margin to 3-2 on a Dante Hannoun power play goal at 16:43. Hannoun would then bring the Royals even with his second straight power play tally with just .2 seconds left in the second period to make it a 3-3 game entering the third period. 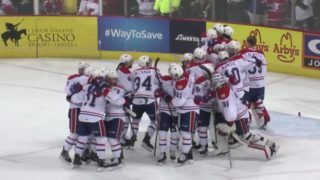 The Chiefs outshot the Royals 12-4 in the third period and generated the only two power play chances in the final 20 minutes, but failed to score. 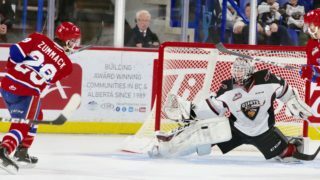 Phillips would cap the comeback with his team-leading 44th of the season as he stuffed the puck past the pad of goalie Jayden Sittler at 13:54 for the game-winner. 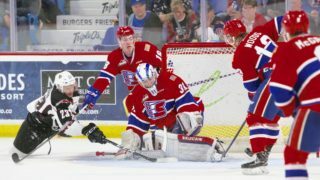 Victoria outshot Spokane 32-29 in the game while going a perfect 3-for-3 on the power play, while the Chiefs were 0-for-2. 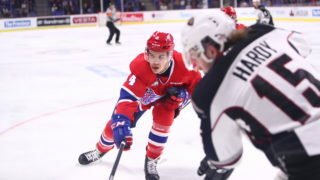 Spokane has now lost all three meetings with Victoria this season and will hope to salvage the final game of their four game series Saturday night in Victoria. Mike Boyle will have the call on 790 KJRB-AM. The pre-game show will start at 6:30 p.m. and the puck drop will happen at 7:05 p.m.